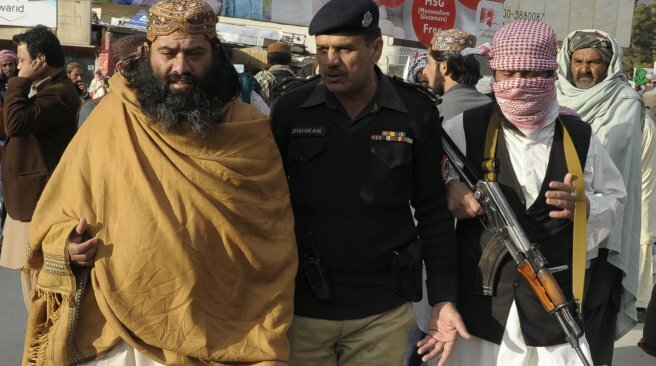 An Islamic scholar, Mr. Mengal heads the Balochistan chapter of Ahle Sunnat Wal Jammat (ASWJ), a banned successor to Sipah-e-Sahaba, an earlier outlawed group responsible for the death of a large number of Shiites in the past three decades. Speaking to Al Jazeera, Mr. Mengal was uninhibited about his relationship with Pakistan’s security forces. “No restrictions at all. I have police security during the election campaign. When I take out a rally in my area, I telephone the police and am given guards for it.,” he said. Mr. Mengal said of the 100 ASWJ operatives arrested in the last two years only five or six remained behind bars. A frequent suspect in the killings of Hazara Shiites in Balochistan, Mr. Mengal led crowds in chanting “Kafir, kafir, Shia kafir (Infidels, infidels, Shiites are infidels),” but is now more cautious not to violate Pakistani laws on hate speech. Suicide bombers killed 129 people this month in an attack on a rally of the newly founded Balochistan Awami Party, widely seen as a military-backed group seeking to counter Baloch nationalists. The Islamic State as well as the Taliban claimed responsibility for the attack. Mr Mengal was the alleged conduit in the past two years for large amounts of Saudi money that poured into militant madrassas or religious seminaries that dot Balochistan, the Pakistani province of Balochistan.